Working for Apple may not be quite a dream come true. The insides of Apple retail stores look extremely appealing and friendly to the outsiders however it may not be actually true. 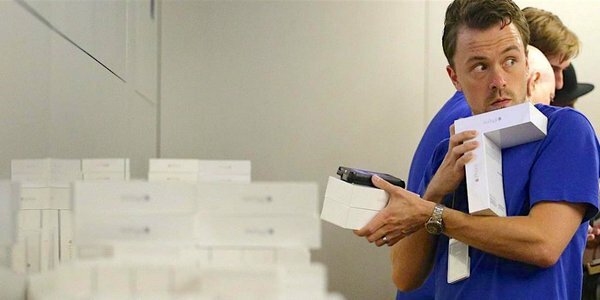 A recent interview given by a seasoned veteran Apple worker gave details on the insides and things that happen in an Apple store which is definitely worth a read. He says the company’s strict policies and internal criticism does not give a positive effect to the environment and rather it makes the employees feel as if they belong to a cult and not an organization. The employees may even face threats from customers on daily basis, which makes them anxious and scared. Getting into an apple store for work is extremely difficult and the pay is extremely less, the employees get paid around eight pounds per hour, which is not quite enough for meeting their ends. 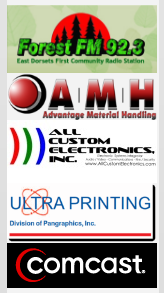 So most often they might get into debt and face other financial troubles. The organization does not value and give priority to their employees and the internal policies are quite weak too. The employees are made to sign a confidentiality agreement on their first day of work, which makes Apple reinforce their secrecy. Apple is known for this behavior as all the product information and details are always kept hidden from the public eye. Employees are restricted from speaking in public about their jobs and even posting or mentioning it on social media. They are even restricted to avoid taking any pictures wearing their uniforms (a blue t-shirt with the apple logo). The internal promotion policies and bonuses are quite pathetic when compared to those offered by its competitors , but only few people outside are aware of this, and most of the employees are scared to let it out because of the confidentiality agreement. It is quite possible for Apple to take legal actions against the employees in case of any cases of employees disclosing any information related to the store or its products. However the benefits of working with Apple retail stores are there too, usually they select only qualified and good sales people which make them stand apart from the other retail sales men and the employees also get a generous discount on the apple products too. Come, Experience and Stay in the Future. 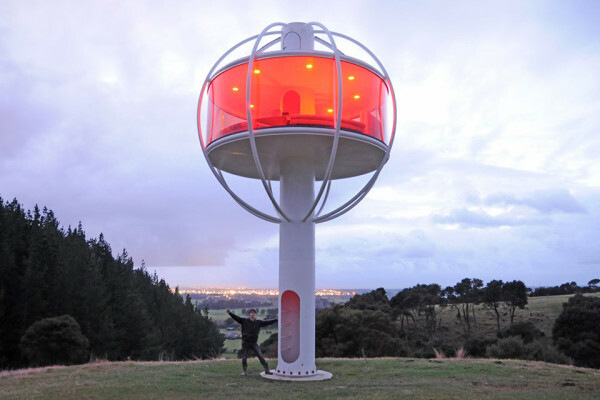 Jono Williams has designed and built an all-white tower, named Sky sphere in Linton, New Zealand. It just got completed in February and aims at giving the customers a feel and glimpse of futuristic holiday and living. It is an out of the world experience which guarantees the rush of tourists all around the year and from around the globe. It has all the hi tech and ultra-modern amenities with lighting fixtures being controlled by apps, a beer dispenser which automatically identifies your voice and brings you beer , the ability to go back to ‘Zombie mode’ and also the facility of getting the front door locked by just a message from the owner. The surprising and interesting part is the story behind the concept and how it evolved into this beautiful tower house. Williams says that he is unsure of from where he had got the idea and how the concept was born. But he wanted it to happen and so put in all his efforts, energy and passion into it. The idea or his vision was turned into reality by modeling it on a computer. It has been built by Williams by using recycled and eco-friendly materials and it only uses solar power as the energy source. The owner says that he is completely satisfied with the outcome and also that the house is strong as well as portable. The tree house is capable of withstanding an earthquake with an 8.5 magnitude and also winds as strong as 124 mph. Still the interesting part is that, the tower can easily be detached and uprooted by Williams and can be taken elsewhere. The total cost of the project came around to $50,000 and it took almost 3000 hours to build his home from scratch. 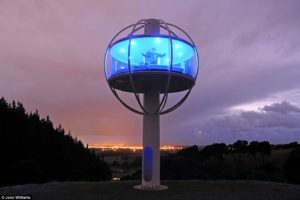 It is also true that Skysphere can be used for a very long time the only facility which is not built now is a bathroom or shower. Williams is taking steps to build and install internal plumbing, so that his dream home would be complete. Copyright © 2019. Radio Millon.